On rainy days like this, I'm not very inspired about what to wear so this is what I came up with ,when Bogdan and I had stuff to do all over the places. Printed silk shirt, skinny jeans, burgundy flats and to animate this look a little bit more, I added this white floral necklace which layers this floral shirt nicely. I don't dress too often in black, but this look was one that I really liked. this is soo perfect the colors are gorgeous and the bag and flats perfect! 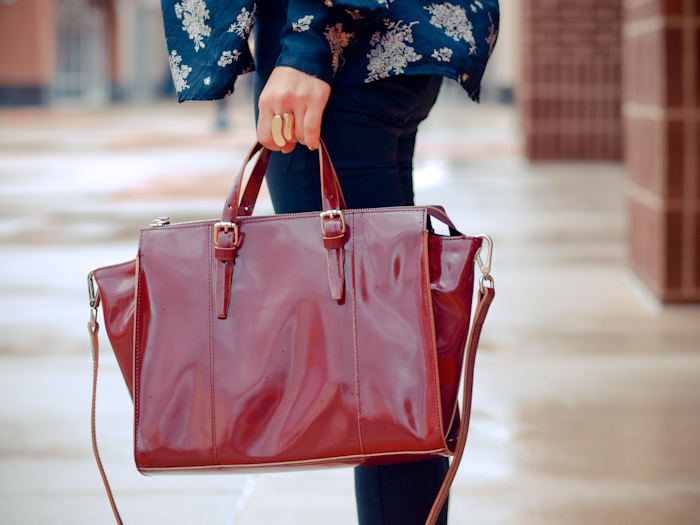 Love the mix of dark red with navy blue! Love the necklace too, it is stunning! The entire look is the epitome of casual autumnal chic but the neckpiece is simply divine! gorgeous necklace! such a cute casual outfit! Love this look! Your top is gorgeous! You look perfectly! This necklace delightful and such original! THE SHOES AND SHADES ARE MY FAVORITE PIECES! THE PANTS FIR PERFECTLY! Wow, i love the necklace, it looks fantastic! this looks like the philadelphia premium outlets! am i wrong? Yes Danielle. Philadelphia Premium Outlets it is ! Amazing outfit ! That necklace is stunning ! Such a beautiful outfit! Love the shirt & bag! Love that blouse! Just great. this is great dear! 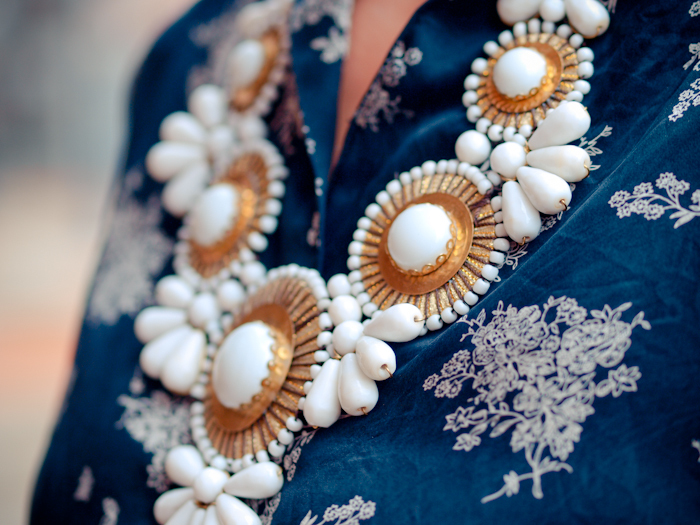 love how you paired that big necklace with printed shirt! lovely! I love your outfits; This is great : the colors, the bag and shoes <3 amazing.